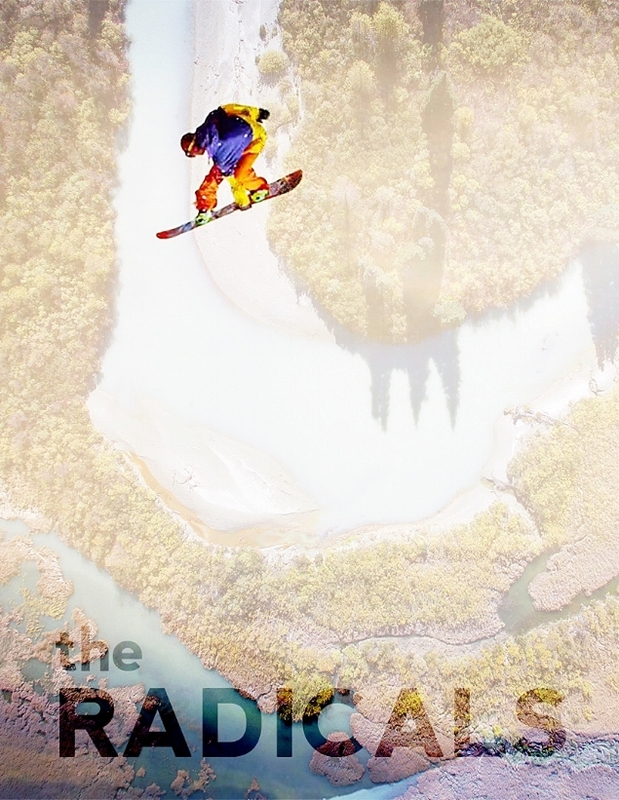 Join us for the world premier of Beyond Boarding's highly anticipated film, The Radicals, a feature documentary that wraps the viewer in a unique meeting of extreme sports and frontline activism. A discussion will follow with filmmakers Tamo Campos, Brian Hockenstein, Jasper Snow Rosen, Professional Snowboarder Marie-France Roy, Haida Weaver and professional snowboarder Meghann O'Brian, and Indigenous frontline leaders of the film including Dzawa'denuxw Chief Willie Moon, Xwisten's Bradley Jack, Chief Ernest Alfred and Karissa Glendale of Namgis Nation. The Radicals (2018, Canada, 75 min.) follows an active group of snowboarders and surfers who drift from their respective sports into the world of activism. Together they journey across the West Coast of British Colombia, weaving a story of learning, inspiration and resistance. From the Tahltan fight for the Iskut Headwaters, BC Hydro’s corruption in Xwísten, art as resilience on Haida Gwaii, to a coastal uprising against fish farms, each community teaches the athletes to understand what it means to be a true radical. Combining visually stunning sport photography and behind the scenes of frontlines, the film’s trajectory fulfills the athlete's quest for extreme landscapes while uncovering critical social issues and resistance. Admission: This event is sold out. *Early Bird ticket sales end September 19 at 5pm. **MOV members please show your identification along with your ticket at the door. Note: Event ticket includes FREE admission to Haida Now and Wild Things: The Power of Nature in Our Lives exhibitions. (reg. $19). Please arrive early with your event ticket to view the exhibits. Tamo Campos is an environmental activist and professional snowboarder who founded the group Beyond Boarding; a collective of snowboarders, artists, and activists that combine their love for the outdoors with environmental outreach and action. A sponsored snowboarder since the age of 11, Tamo has chased steep mountains, riding competitions, and video parts for 15 years. In that time, his passion for the outdoors morphed into a mission for environmental justice. Whether it's training communities about the power of storytelling and direct action, riding first descents into the Sacred Headwaters or leading environmental film projects, Tamo embeds himself in the community wherever he goes and is dedicated to combining social impact with his adventures in sport, activism and filmmaking. Brian Hockenstein is based in Pemberton, BC. He is a documentary filmmaker who is passionate about telling stories that have the ability to affect change in the world. Meghann O’Brien is a Haida/Kwakwaka’wakw artist from Alert Bay, BC. She spent 15 years as a snowboarder before starting to weave on her own in 2007. Meghann uses her artwork to both explore her Northwest Coast cultural heritage, and rebuild and maintain bonds with her community. O’Brien is interested in working with natural materials to explore notions of time, space and genetic identity, and continues to work with traditional forms to create new and contemporary pieces. She is committed to raising awareness about weaving as a living art form. Marie-France Roy grew up in Quebec, Canada. A love for snowboarding influenced her move to Whistler, British Columbia, where she happily lives the life of a professional snowboarder for over a decade. Known for being one of the most stylish and versatile riders in snowboarding, Roy is also recognized for her humble and giving nature. She is the recipient of the 2015 Climate Activist Award from Protect Our Winters and TransWorld SNOWboarding magazine. Chief Willie Moon is the Chief of Kingcome Village - Dzawa'danuxw Nation who are currently fighting Fish Farms. John Nole is a member of the Klabona Keepers, a group of elders from Iskut that have steward and protected the Tl'abane Sacred Headwaters for many years. Chief Ernest Alfred is a leading voice in the removal of salmon farms off the BC coast. He is the spokesperson from the Swanson Occupation. Namgis activist, Karissa Glendale is a leading voice and organizer of fish farm resistance in her territory.